Welcome to AndroidCentral 😃 Thanks for the question. Would you be able to give us a little more detail about the ads you are seeing on your Galaxy S7? Do the ads appear on your home screen when you boot up the phone? Do they appear when you use specific apps? Officially welcome to AndroidCentral 😃 Thanks for creating a account. Always nice to see some new people around here. May I ask where you purchased the device from? I know some Amazon prime devices have ads on the phone to reduce the overall cost to the customer. You didn't mention if you did a reset and cleared up the cache in boot menu. Try it out. Have you checked the list of running processes? It's in the Developer Settings. I got into it and saw running apps but not sure what id be looking for. A lot of the processes and what not i dont recognize but assume they are system process? Malware bytes, Spotify, Messages+. Close them. Clear your cache. See if it still happens. 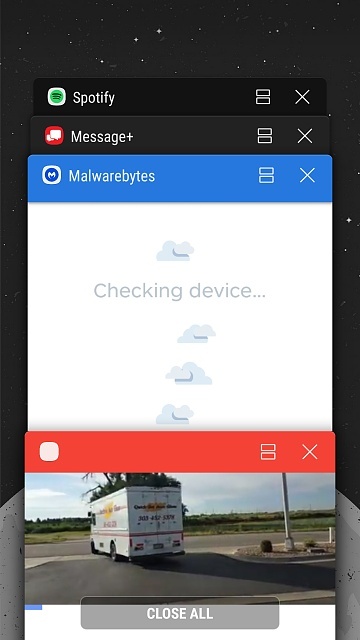 Malwarebytes is good to have. Go to http://adguard.com and side load. System wide blocking of ads. An app can update and begin delivering ads or an ad server can start delivering adware/malware. Malware can be memory resident only and not even begin life as a download and just uses drive-by to infect. One Windows 10 variant would use MS Defender to be able to burrow itself into the system. Don't restore when you do reset the phone. You can reset permissions and network to defaults as well as user data but id go for full factory reset. Dano1200r, did u ever get this resolved? Some of my games on messenger the screen flashes. Why?